NouJi Creations: 8 Mascara mistakes to avoid! 1. You hold on to it for too long! Mascara does expire! If you can’t remember when was the last time you changed your mascara, it’s probably time to change it. Mascara usually expires after 6 months of opening it. It gets dried out and bacteria get into the formula, which can put your eyes at risk for bacterial infection. In addition, dried mascara clumping. Curl your lashes before applying mascara so the mascara won’t stick to your curler leaving lashes vulnerable to being yanked out. Start at the root of your lashes, press it together and hold it for about 10 seconds, then move it out to the end of your lashes and repeat. All the extra air the tube causes clumps and flaxes, which turn into clumps and flaxes on your lashes. Always clean off the excess from the mascara wand into the tube when you pull the wand out of the tube to apply the mascara. If you over-pack the brush with too much product, that may lead to clumps. Most mascaras are only meant to be layered twice. The more you put on, the greater risk for clumps. 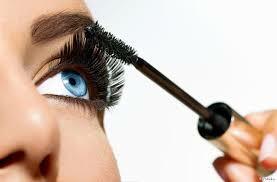 If you start to see clumps as you are applying you are likely reached the limit usually two coats of mascara is fine. Start with your bottom lashes when putting on your mascara, tilt your head forward slightly to keep from getting mascara onto your cheek. Then look straight ahead and place your wand at the base of your top lashes then move the wand up your lashes. 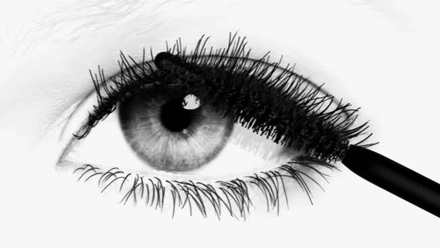 Apply more mascara from the center of the eyelid to the outside corner; this will help your eyes look further apart. If you get a little mascara on your skin, don’t try to rub it away immediately, you will just smear it and have a bigger mess to deal with. Instead, wait until it dries then dab a lit of makeup remover on a Q-tip and swipe it off. 8. You don’t fully clean it off! Make sure to fully clean off your mascara before going to bed to avoid thick mascara in the morning. Use a product specially made for eye makeup removal or use jojoba oil on a makeup pad to remove it.